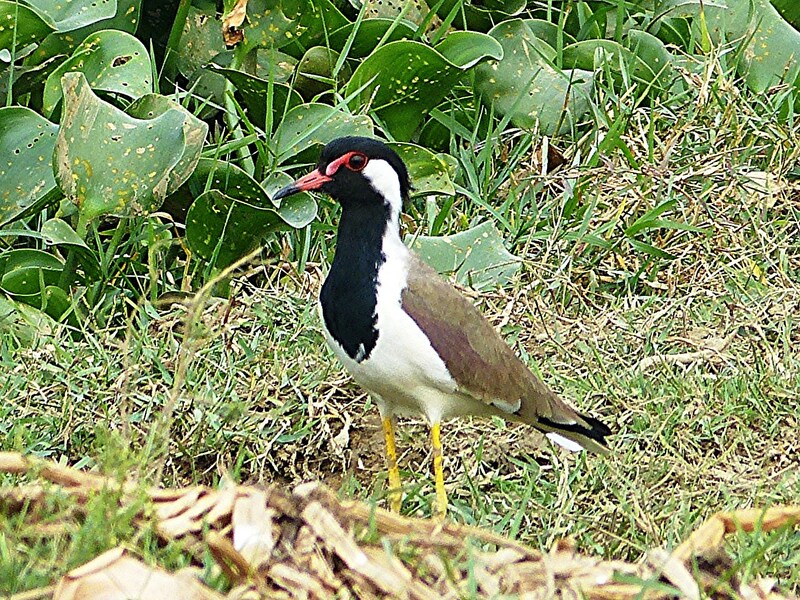 That first day we birded at Sultanpur National Park and the surrounding area, where I was introduced to the Red-wattled Lapwing, a bird we would see everywhere during the next two weeks. 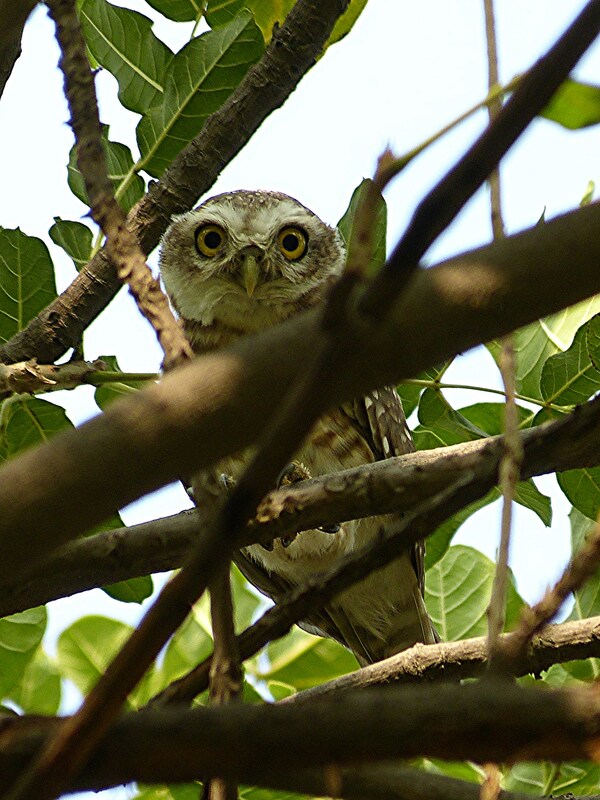 We also saw the first of many owls of the trip, adorable Spotted Owlets. 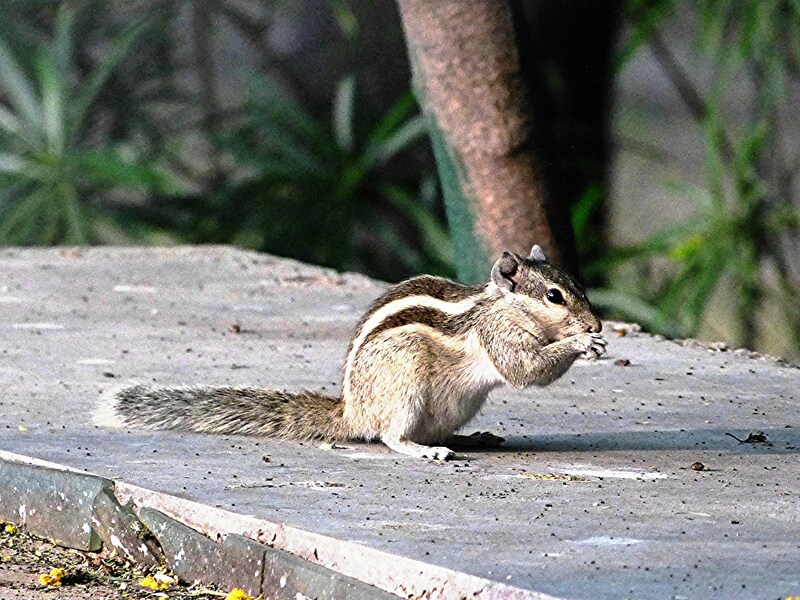 And, I couldn’t let the cute Five-striped Palm Squirrels get away without a photo for my granddaughter, Melody, who loves rodents. 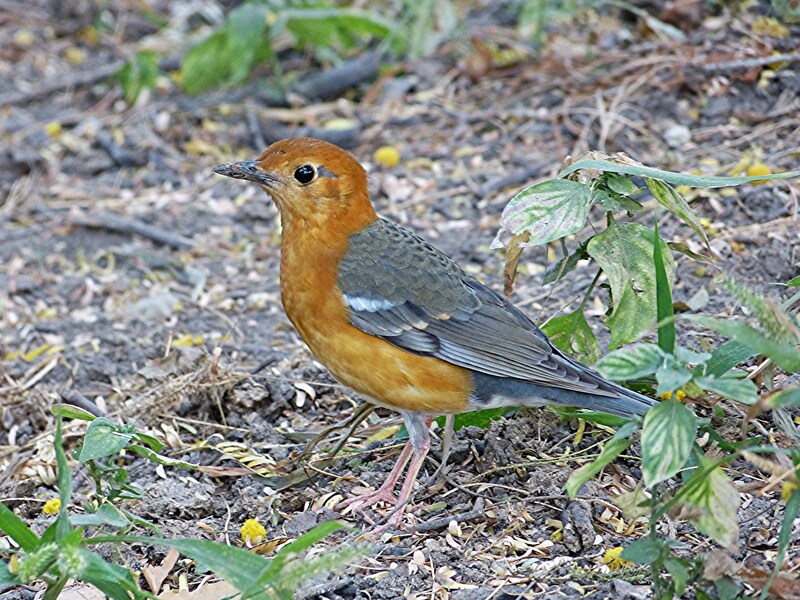 The day ended with this lovely Orange-headed Thrush, one of my favorites and the only species seen that day that we did not observe again on the main trip. 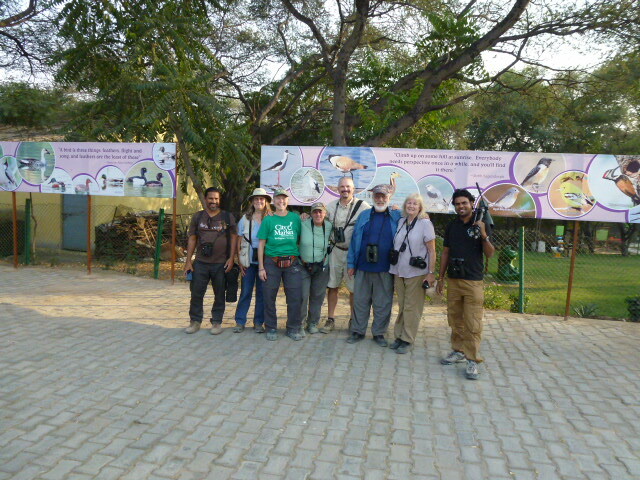 The next morning brought the start of the birding tour led by Leio De Souza, owner of India Nature Tours. 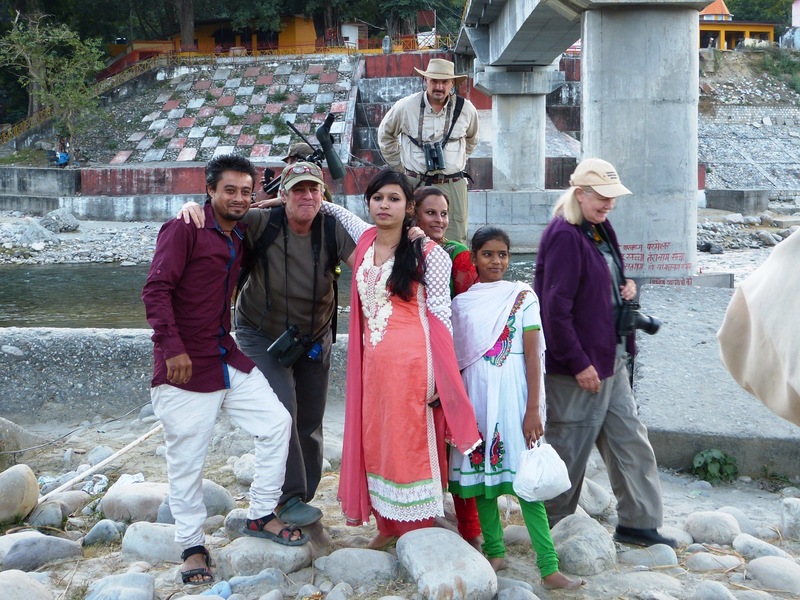 Our group of seven birders would be lucky to have both Leio and Lokesh as our guides for the next two weeks. We headed towards Agra and the Taj Mahal. The palace was breathtakingly beautiful, but the experience of seeing it was quite unpleasant. 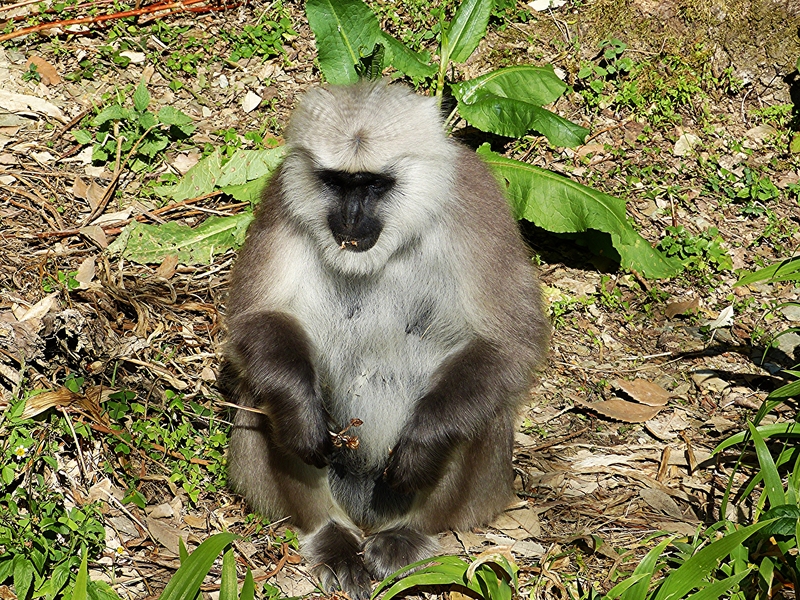 Our tour coincided with major Indian holidays resulting in crowds everywhere. 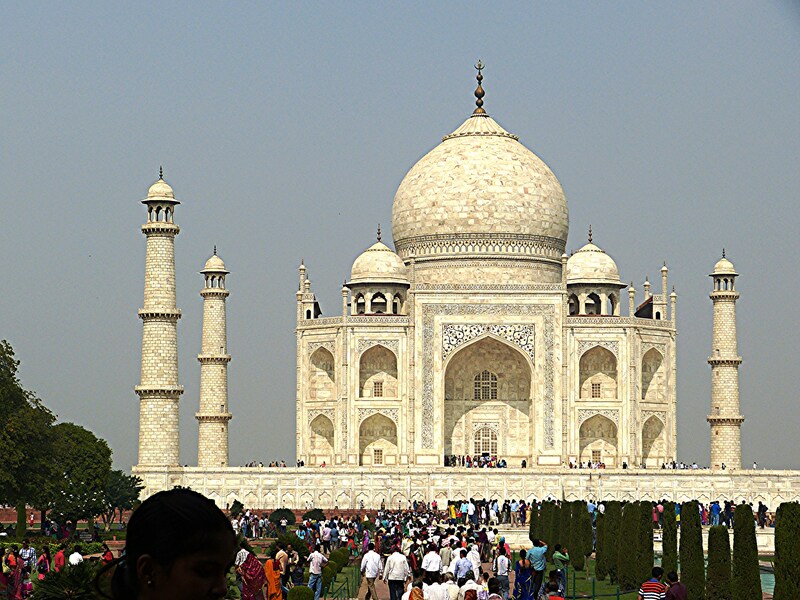 The Taj Mahal was packed so tightly that day that our group had no chance of staying together as other visitors pushed in between us. The palace guards constantly said “Keep moving.” Regardless, I wouldn’t have wanted to miss seeing this incredible wonder of the world. 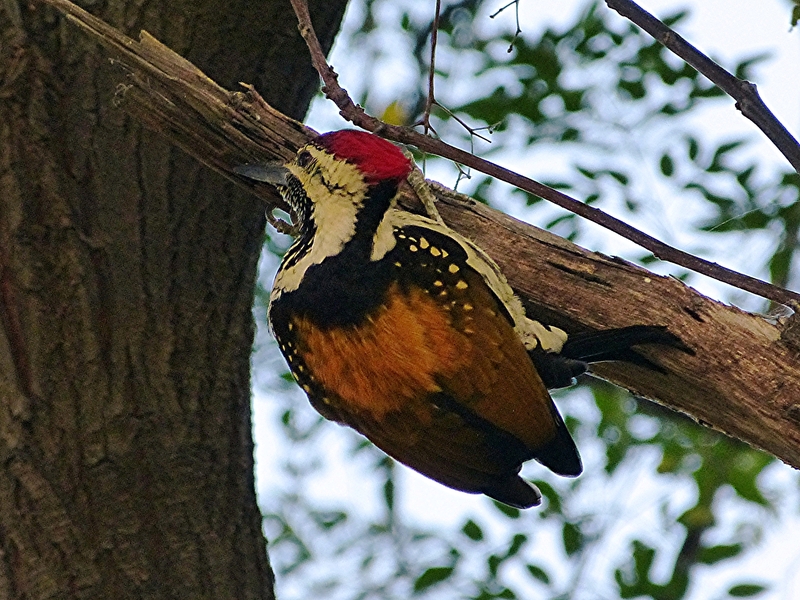 We continued our drive to Jarar Village and Chambal Safari Lodge, where we spent the night after a little late afternoon birding near the lodge. 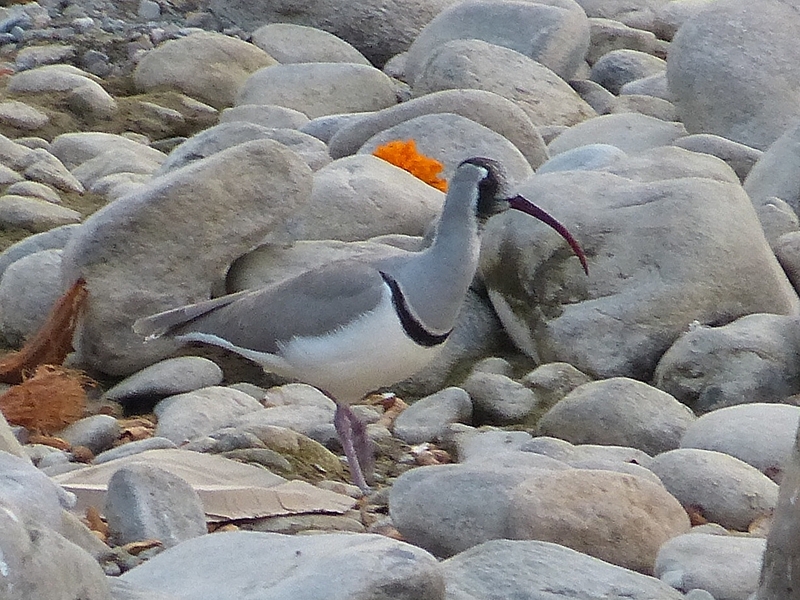 The focus of our second day was the Chambal River, where we hoped to find Indian Skimmer. Sadly, we missed the skimmers, one of the few big misses of the trip. However, we had great looks at two of India’s crocodilian species, the widespread Mugger and the rarest Indian crocodile, Gharial. 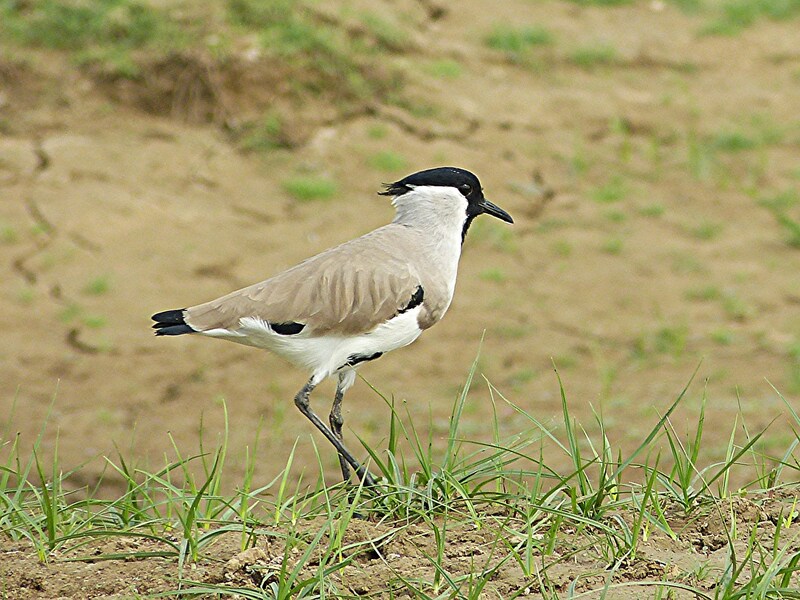 We also saw wonderful birds including River Lapwing and Small Pratincole. A drive to Keoladeo National Park, formerly known as the Bharatpur Bird Sanctuary, completed our day. 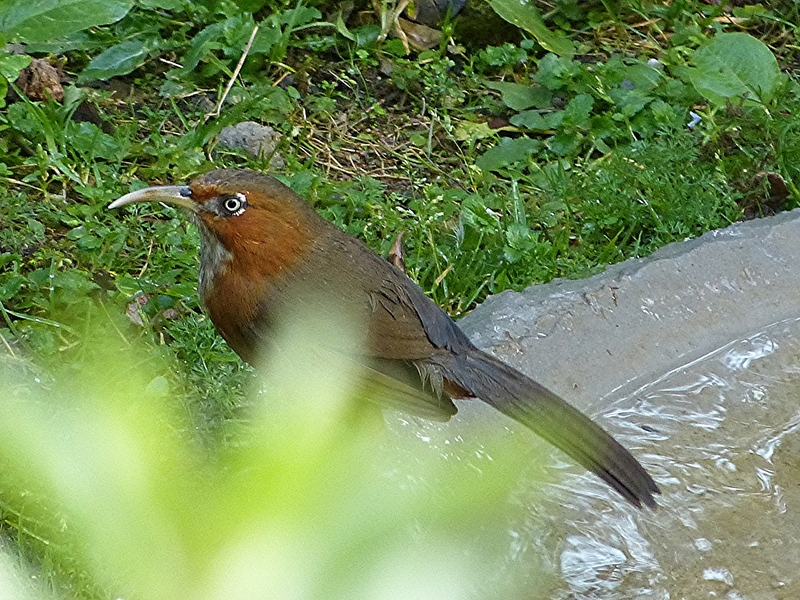 We spent the night near the park entrance at Hotel Sunbird. The entire next day was spent in the park where we had a wonderful time exploring on foot and in the park’s unique cycle-rickshaws. 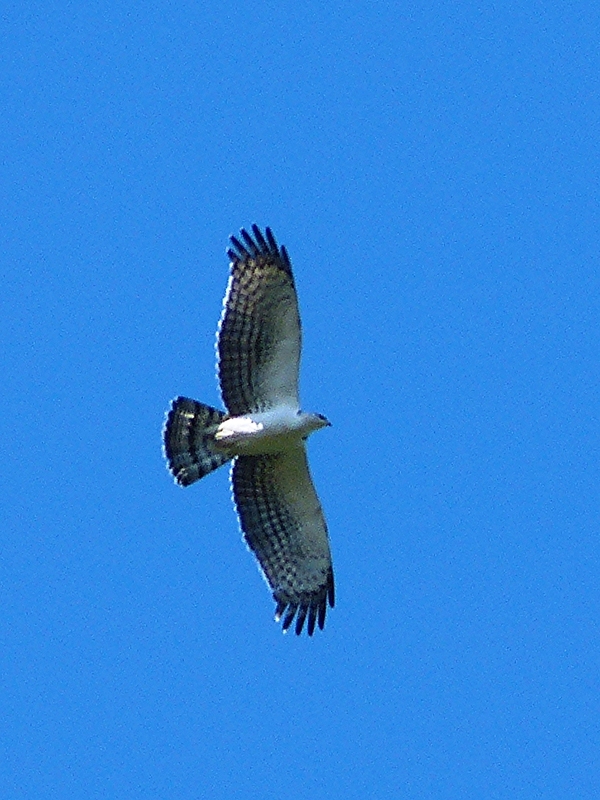 Here we saw one of the most beautiful raptors of the trip, Oriental Honey-buzzard. 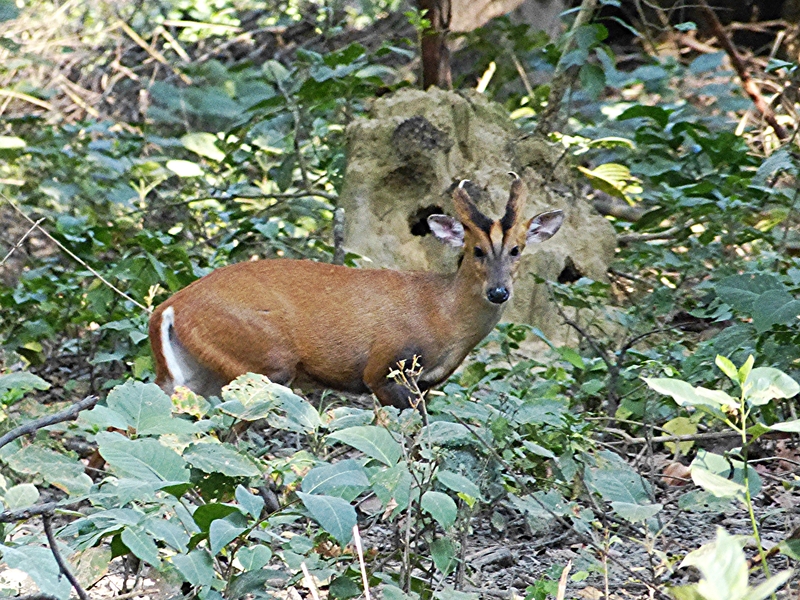 Our mammal list continued to grow with Sambar Deer, Spotted Deer, Rhesus Macaque, Golden Jackal, Wild Boar, and Nilgai. 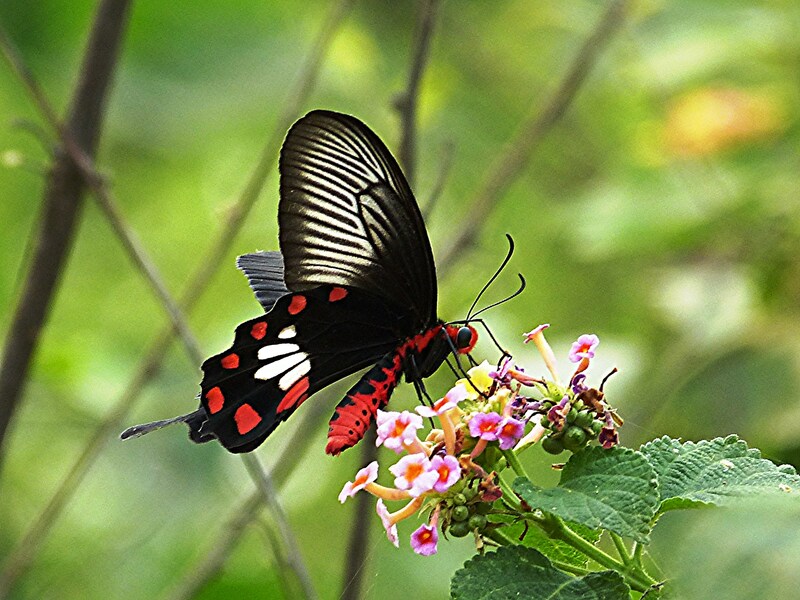 Butterflies at Bharatpur included the gorgeous Common Rose. 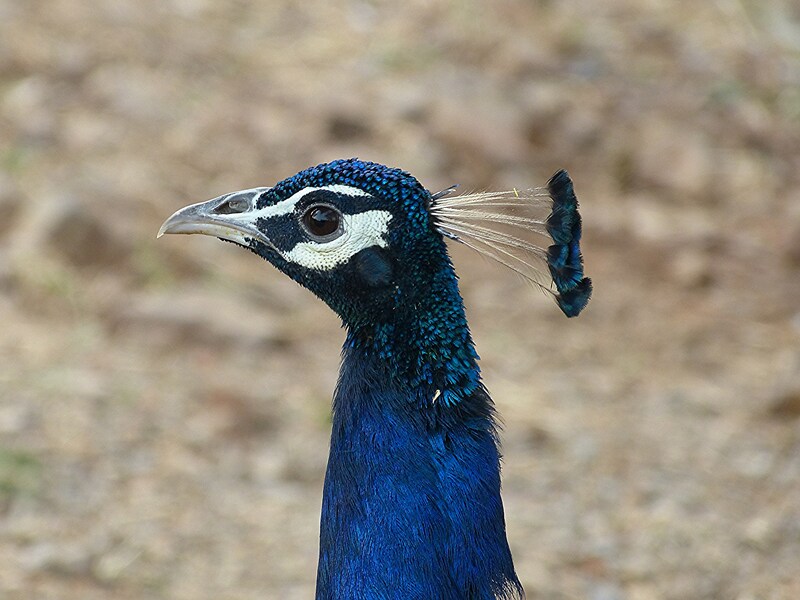 After a little birding near the hotel the next morning, we drove to Ranthambhore. 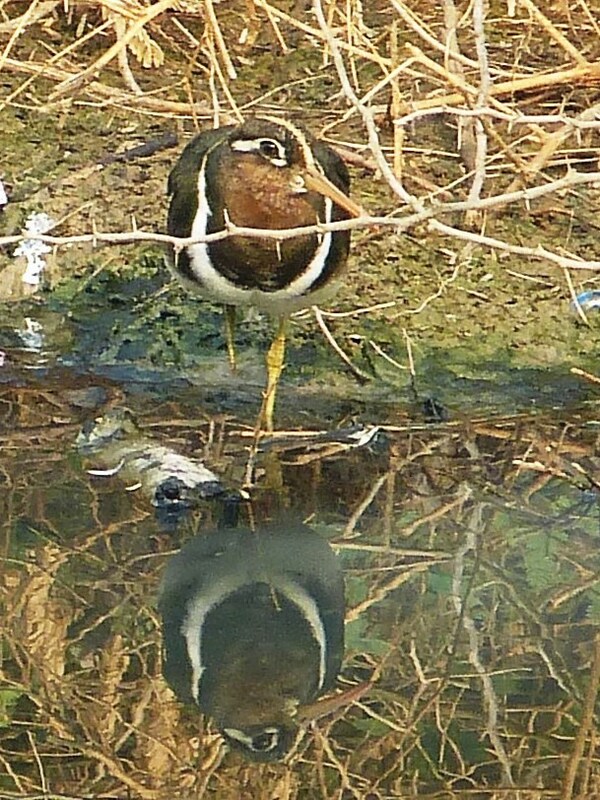 We made a stop along the way to look for Greater Painted-snipe, a species that fascinated me when I saw them in Hong Kong in 2009. 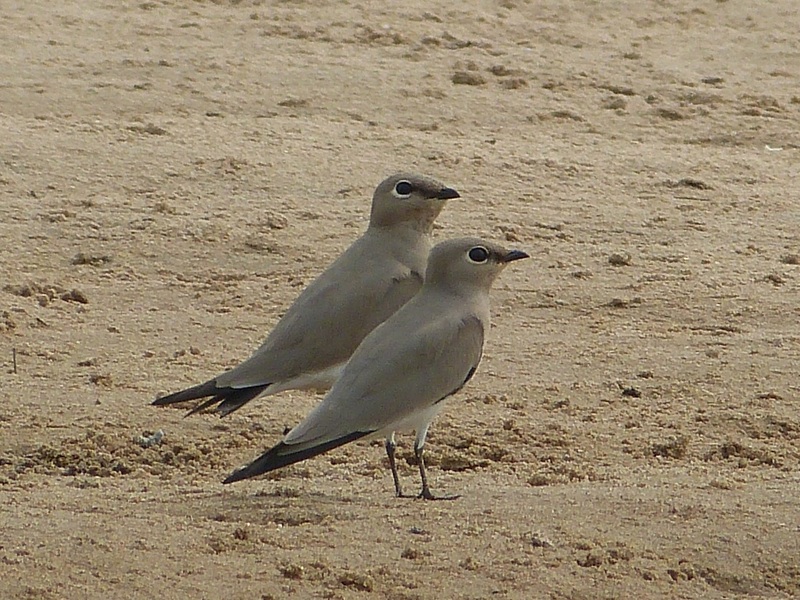 The typical sexual roles are reversed in this species with the larger and more brightly colored females courting the males. 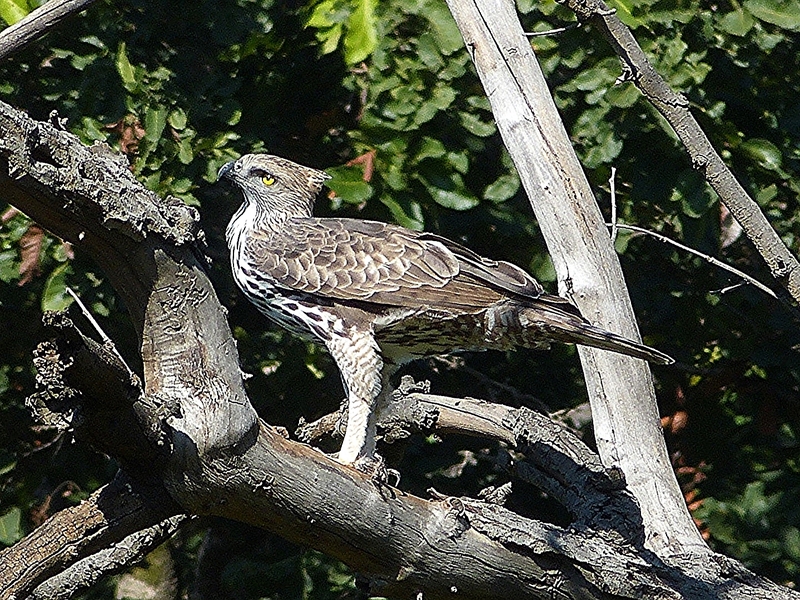 After mating and laying her eggs, the female leaves the male to incubate the eggs and raise the young. 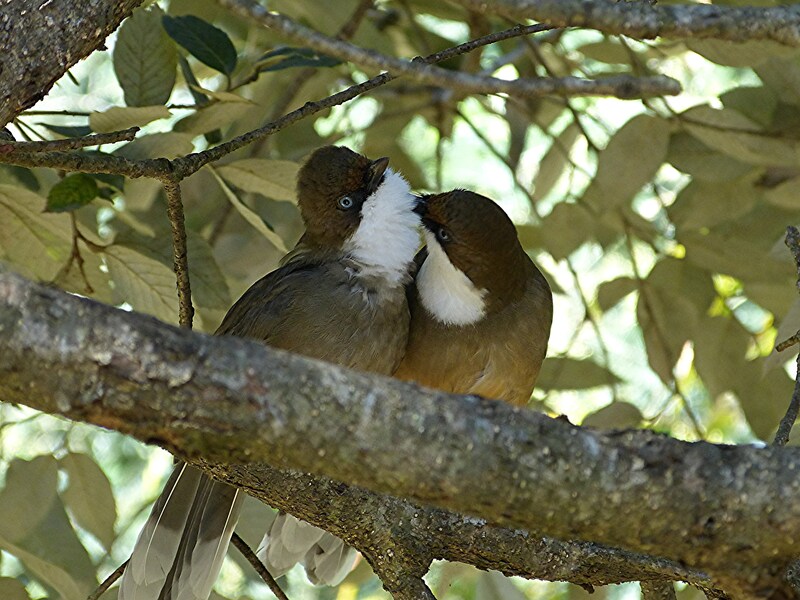 She then repeats this process, sometimes mating with as many as four males in a season. 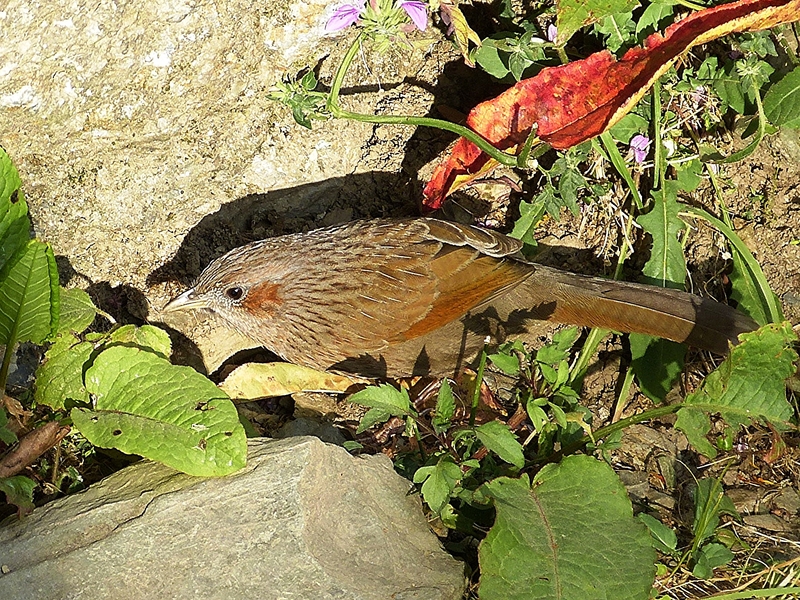 In India, I had even better looks than I’d had previously and was able to get a photo of this good-looking female. Diwali or “Festival of Lights,” the most important Hindu holiday of the year, had been celebrated shortly before the start of our tour. Celebrations during the five-day festival include gift giving, prayer offerings to Lakshmi, the goddess of wealth, and fireworks displays. Homes are cleaned, painted, and decorated and even livestock and farm equipment are decorated. We enjoyed seeing cows still sporting garlands and bells from the holiday and tractors all jazzed up like this one. 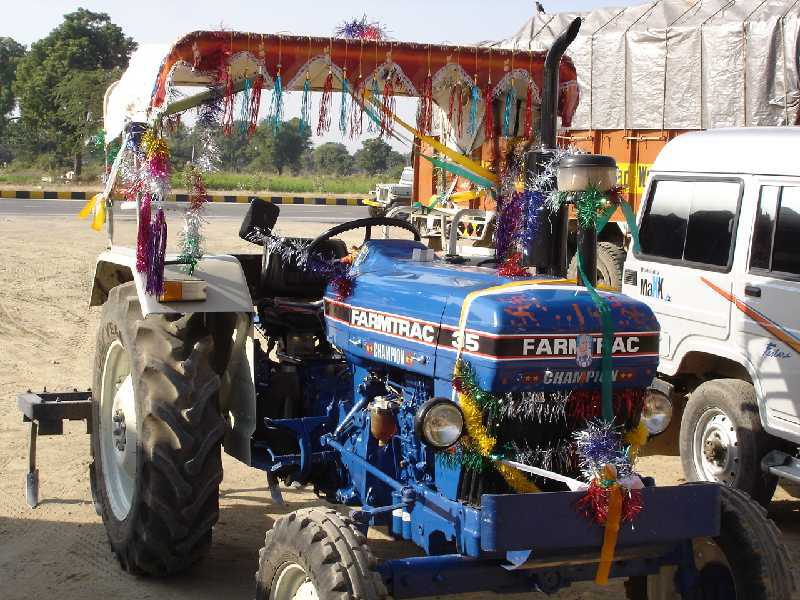 Tractor decorated for Diwali. Photo by Tom Walker. 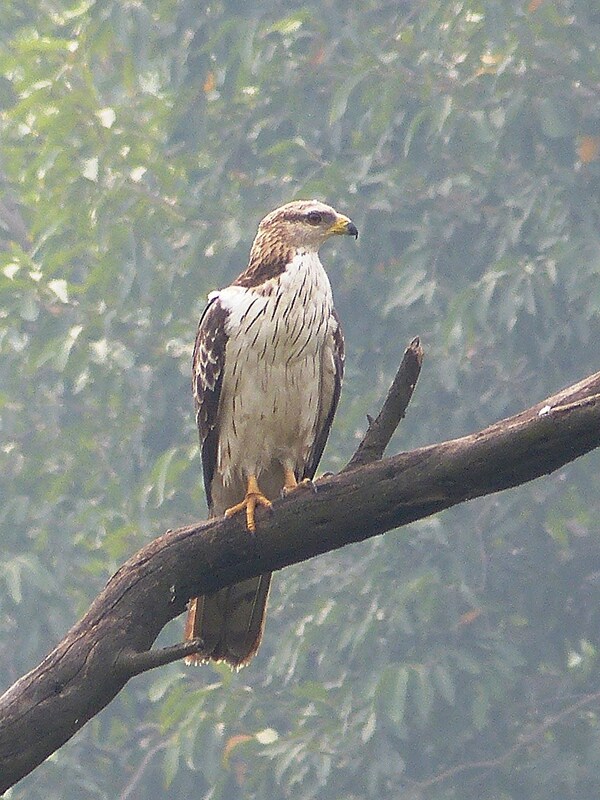 We went to Ranthambhore National Park to look for birds, but it’s also the easiest location in India to observe Bengal Tigers. 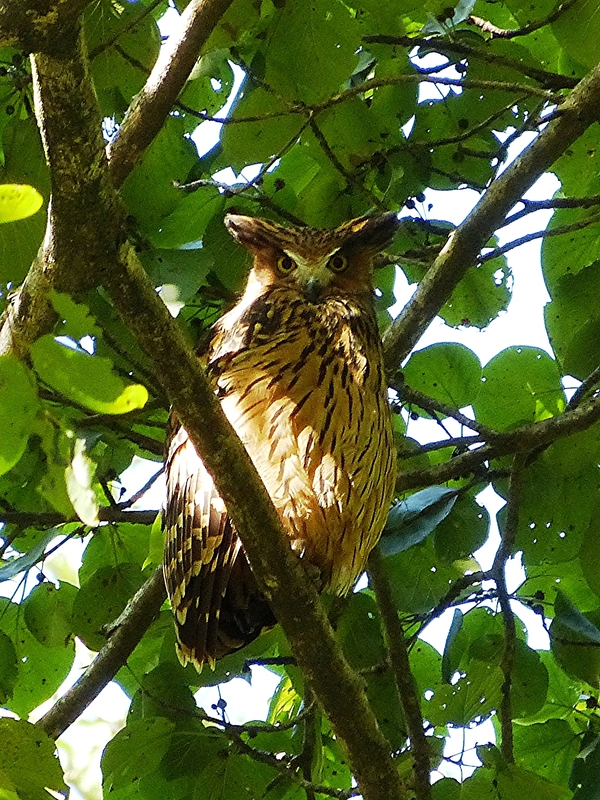 We started the morning looking at birds, but as soon as the park guides detected tigers close by, we were off on a wild chase in our open lorry-bus over the very bumpy roads. There were no walkie-talkies, but the guides seemed to have a sixth sense of where the tigers were and they communicated directions to the other groups in the same zone of the park. Mama tiger and three cubs were first observed playing in a shallow lake, but they were out of the water by the time I saw them. 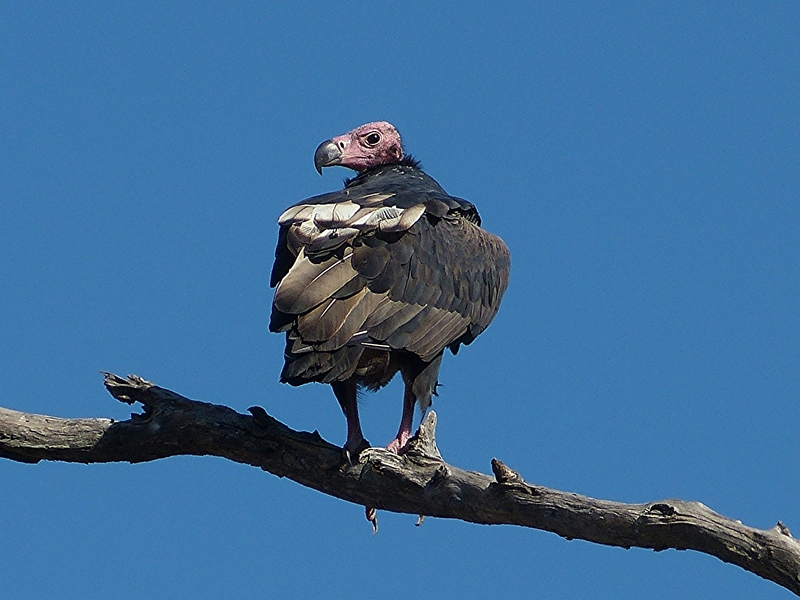 I didn’t need to worry about getting a good view, though, as they slowly same closer to our vehicle and walked 30-40 feet from us as they crossed the road. 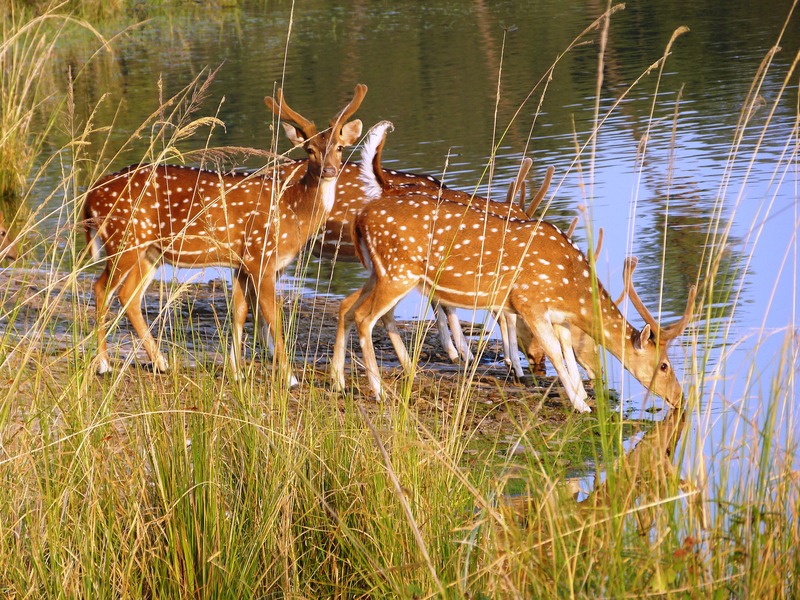 There was nothing preventing the tigers from jumping into our open vehicle and having a couple of birders for breakfast except the generous supply of spotted deer and other easier prey in the park. I felt no fear, only awe at being so close to these magnificent animals. These tigers really were wild animals, but it was obvious that they were habituated to humans. One of the three 7-month-old tiger cubs seen with their mother. Back home, I learned that tigers really are “king of the jungle” with no natural predators. The human activities of poaching and habitat destruction are the major factors that have pushed them to an endangered conservation status. 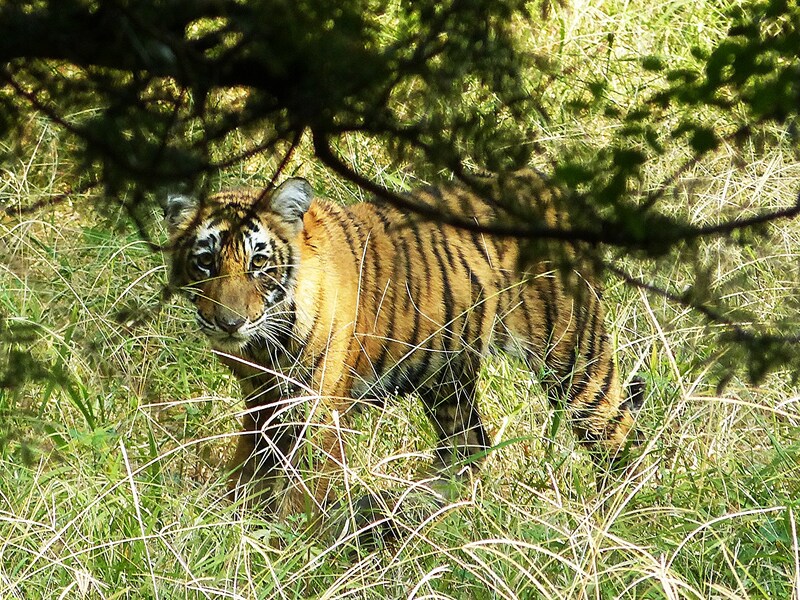 According to Wikipedia, “Over the past 100 years, they have lost 93% of their historic range, and have been extirpated from southwest and central Asia, from the islands of Java and Bali, and from large areas of Southeast and Eastern Asia.” In an attempt to halt the slide to extinction, the Indian government created Project Tiger in 1973 to preserve its national animal. Due to these efforts, tiger numbers have increased in recent years with a total of 1706 individuals in India estimated for 2010. 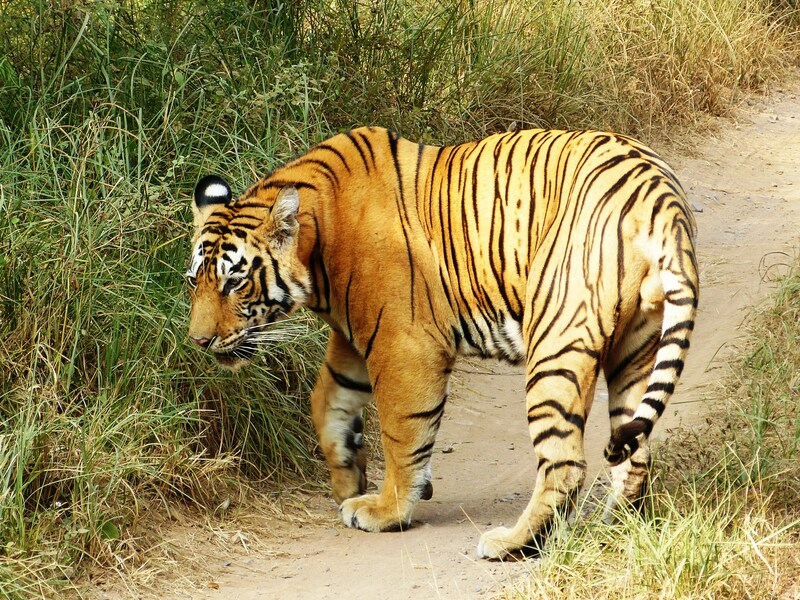 India’s wild tigers represent over half of the global population, estimated at 3200, down from 100,000 a century ago. Our park guide told us that there were sixty tigers in Ranthambhore. Male tiger observed on second day in Ranthambhore. 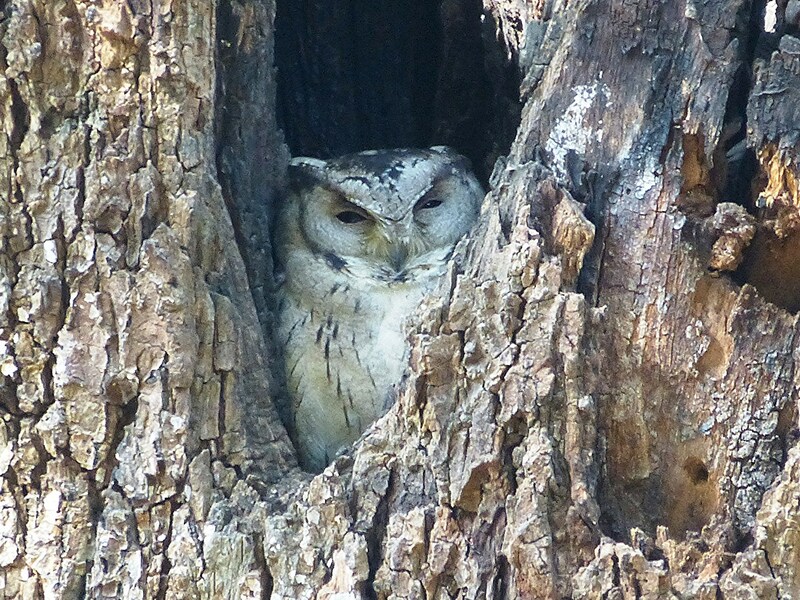 This gorgeous Indian Scops Owl was one of several owl species seen on the trip. 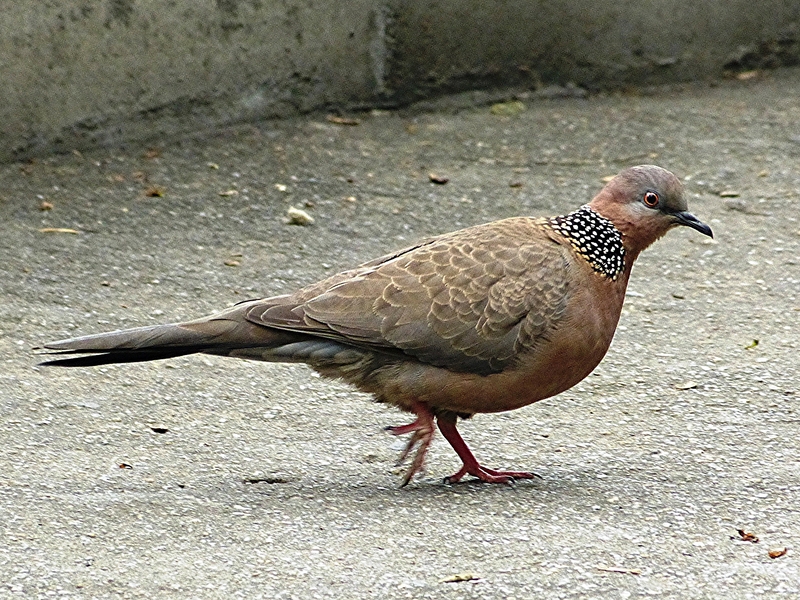 A less spectacular, but interesting, sighting was this Spotted Dove. 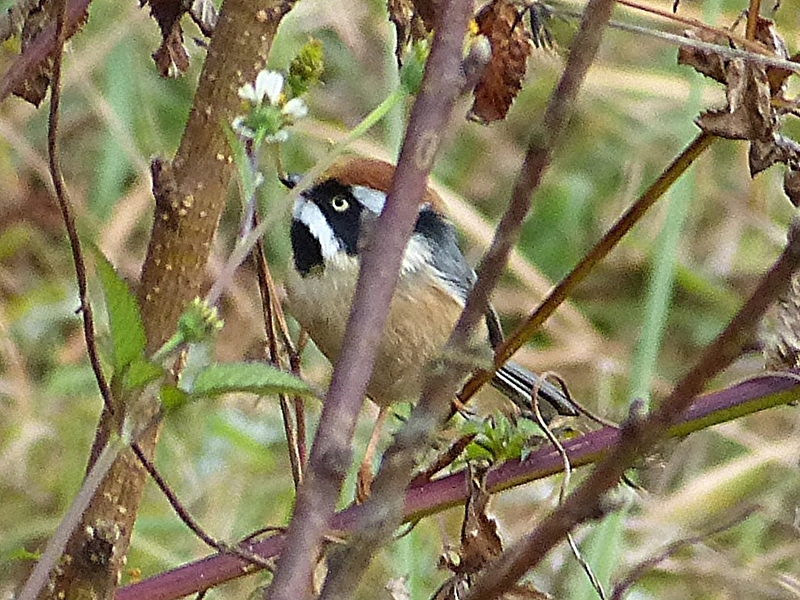 I have seen this species many times in China, as well as in California. 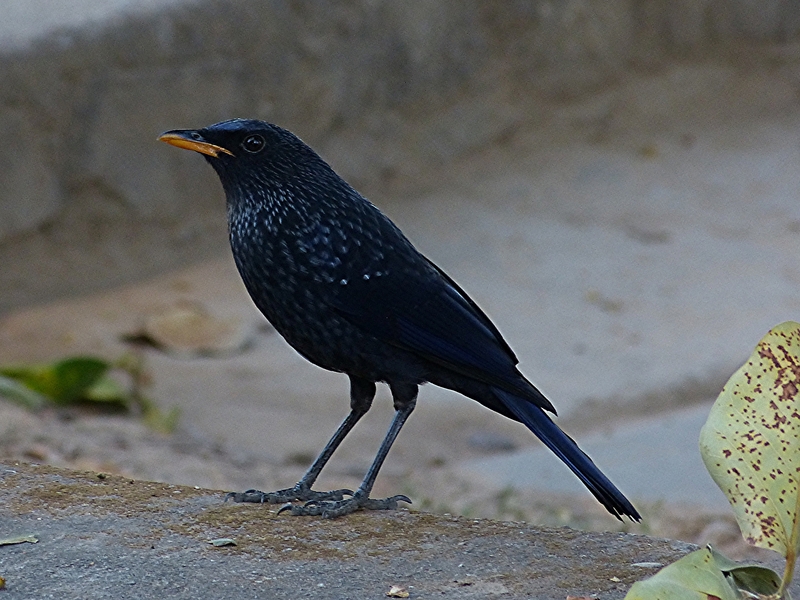 This bird in India surprised me by having numerous distinct spots on the wings; the others I’ve seen were much plainer. 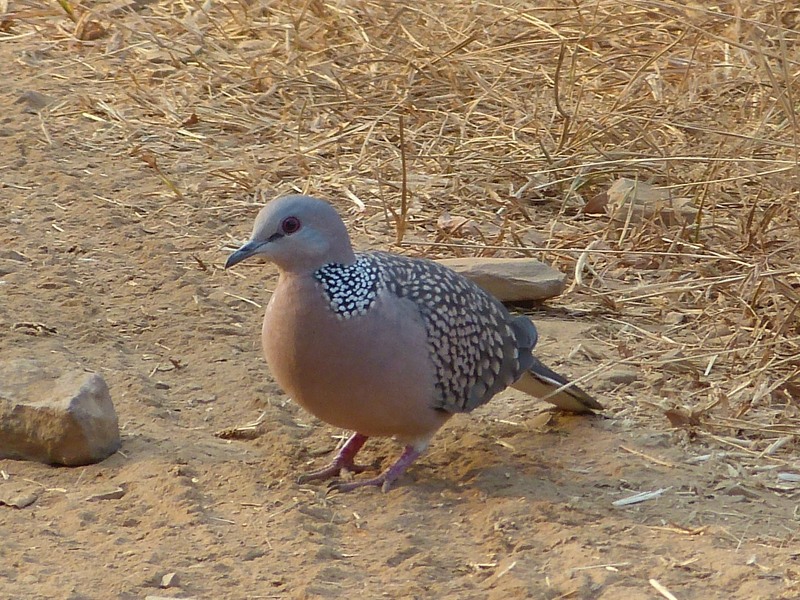 A little research revealed that there are three main subspecies groups of Spotted Dove and considerable plumage variations across populations within its wide range. 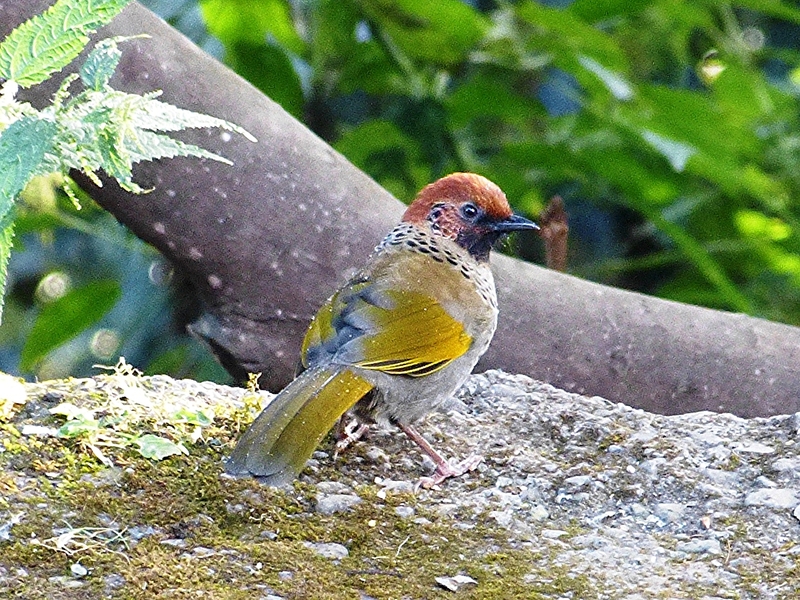 The Spotted Doves that we saw in India were a different subspecies, suratensis, than the nominate subspecies, chinensis, that I had seen in China. 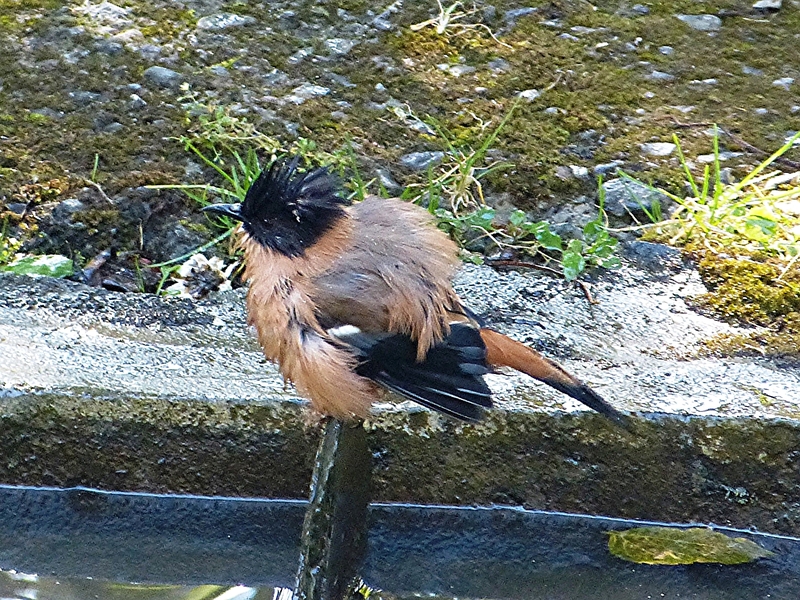 The photos below show the differences in plumage of these two subspecies. 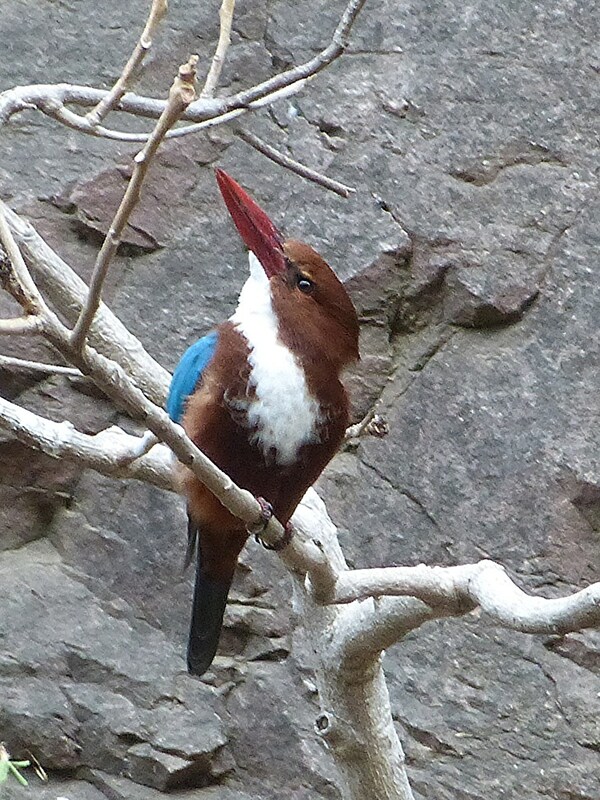 My favorite bird at Ranthambhore might have been Rufous Treepie. On our first day there, a treepie sat on the edge of our vehicle and Lokesh told me that I would see the bird eat from his hand. 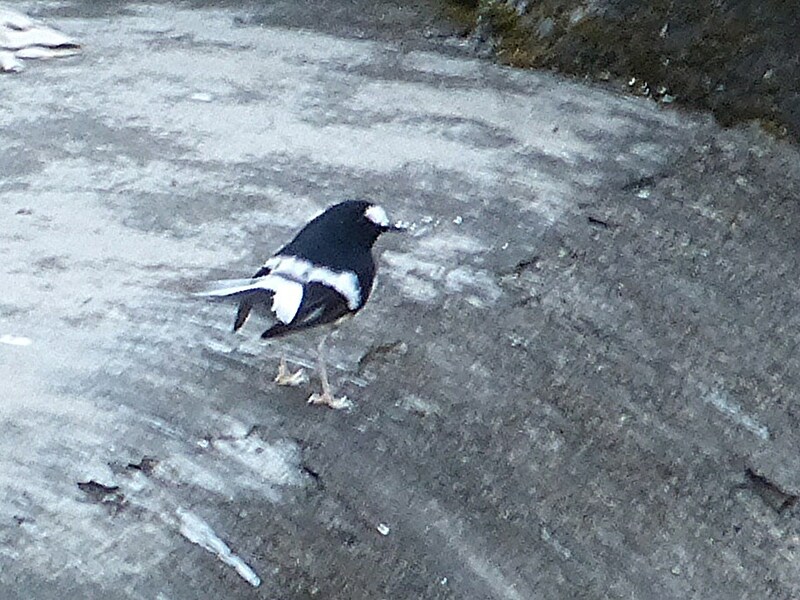 The next day a treepie did eat from his hand as promised and from mine as well. 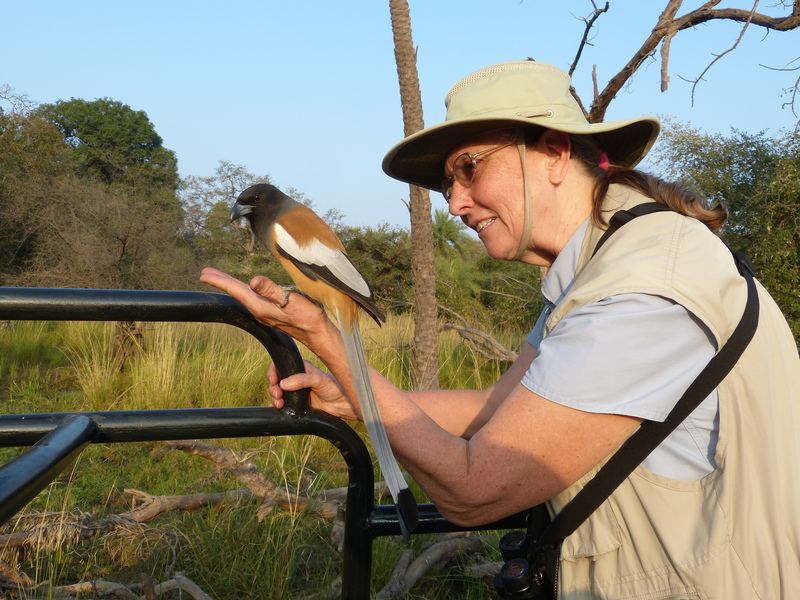 Rufous Treepie on my hand. 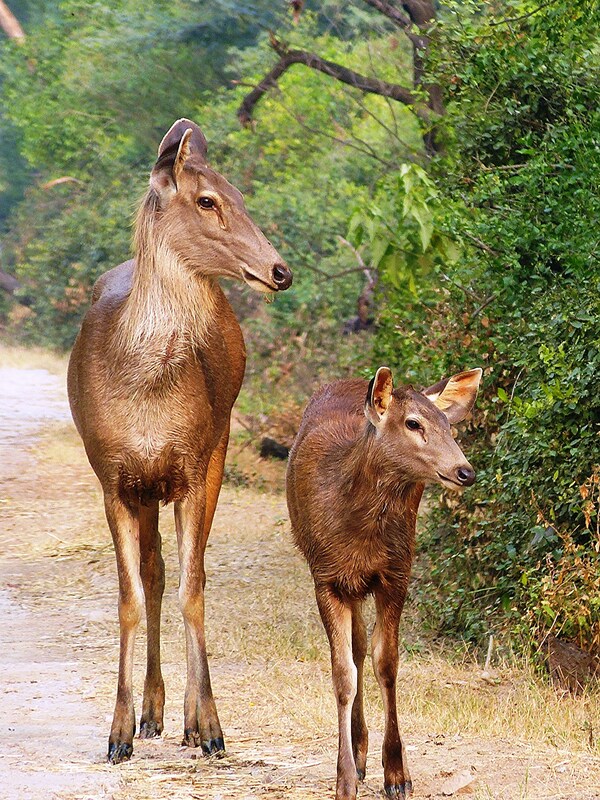 During our two days at Ranthambhore, we saw quite a few mammals in addition to tigers, including many lovely Spotted Deer. 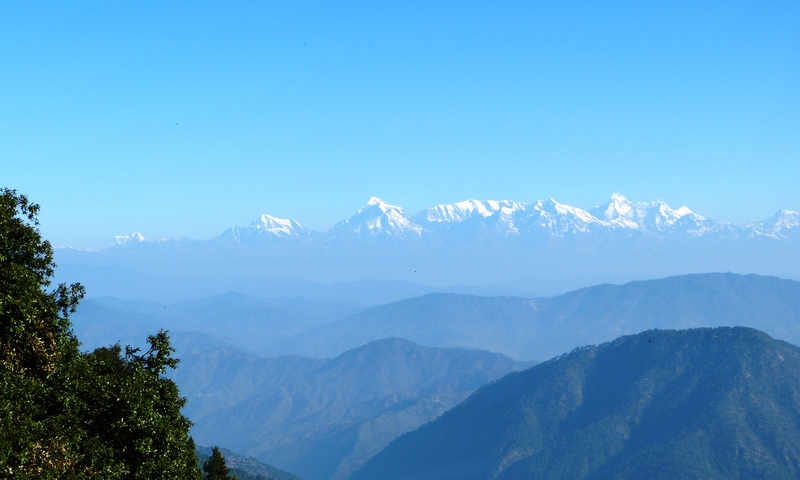 Our first week in India went by quickly and it was now time to take the train back to Delhi where we would spend the night before driving north towards the Himalayan foothills for the second part of our trip. Stay tuned for more!